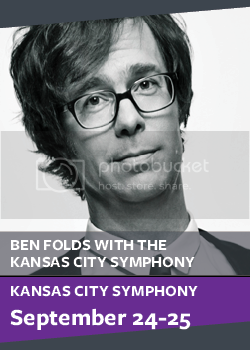 Monday and Tuesday, September 24-25 at 7 p.m.
Rock sensation Ben Folds is back by popular demand after several sold-out appearances with your Kansas City Symphony. Hear this one-of-a-kind performance packed with fan favorites like “Brick” plus Folds’ latest orchestral arrangements. Tickets from $50. Call (816) 471-0400 or select seats online. The Symphony has added the Monday, September 24 concert due to popular demand!